Technical Car Experts Answers everything you need: Thermador VTR1000Q Remote Ventilator Kitchen Hood remote blower installation? Thermador VTR1000Q Remote Ventilator Kitchen Hood remote blower installation? The procedure to to install this in the ceiling with the external part either on the roof or on the side wall. *10 inch diameter pipe duct and elbows where needed. 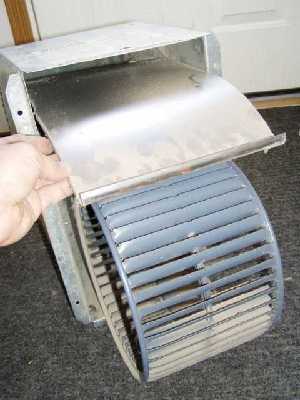 *If you are mounting the remote fan unit on a flat roof or roof with a pitch of less than 11/2" in 12", you will need to supply a curb to mount the fan to the roof with. *Roof sealing compound and metal flashing to seal against any water damage. *I suggest getting the 4 position speed control that is sold by Thermador model # XXXXX or using a single switch and choosing what speed you will be using all the time when you wire up the remote fan. Also remember the box to mount either switch in. *You will need a 120 volt,15 amp power source from your power supply panel. This can be a 14/2 w/ground NMC (romex) as per local code permitting. *If the 4 position speed control is being used, you will need to supply 5 wires (#14awg) between the remote fan unit and the switch box where the speed control will be mounted. You will need 1 green, 1 white and 3 different color wires (black wire with color marking tape will suffice). * These wires ill be installed in a 1/2" conduit between the fan and switch box. A flexible type of conduit can be used to make the installation easier. 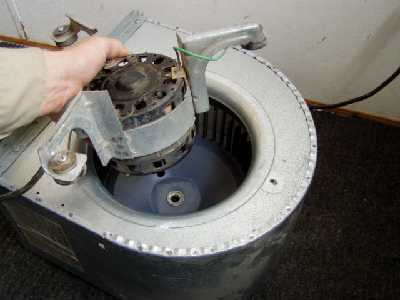 * Make sure to use wire nuts where wires are spliced together. Also make sure the ground (green) wire is connected at each location . The curb/roof plate is needed on shallow pitch or flat roofs to handle the so called "standing water". Since your roof is steeper, I would just be concerned with sealing the upper edge and sides with some type of roof sealant. Silicone caulk (100%) is normally used in that scenario. As for as the switch problem, I would run another 14/2 nmc. Then get a switch that is single pole double throw. This will give you 2 options for fan speeds ie; low ,high. You can get a switch that looks like a regular wall switch. Then there is always Radio Shack. Look for either switch to have a center position and movement in both directions. Just be careful on that roof and remember to shut off the power when hooking up your system.